Police, fire and ambulance services in England should share control rooms to improve their response to 999 calls, a Home Office minister has said. Mike Penning said it did not “make sense” to have different premises. It comes as new plans are published to get the services working more closely. There are also proposals for police and crime commissioners (PCCs) to oversee fire brigades, which could include choosing an officer in charge of hiring and firing fire and police staff. This top officer post would be open to senior officers from both the police and fire service. They would hold the rank of chief constable – and to allow this the government would remove the current rule that holders of the rank must have served as a constable. PCCs would get responsibility for fire services “where a local case is made”, the Home Office said. 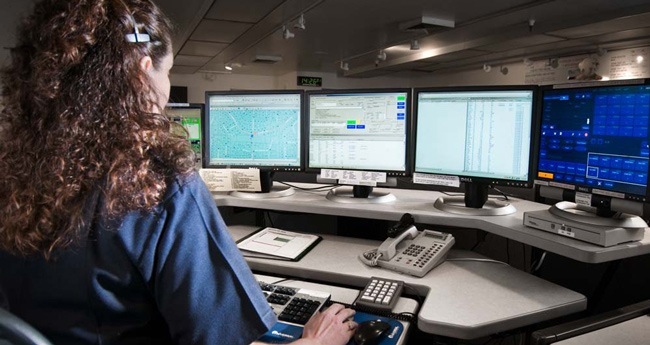 In most parts of England, police, fire and ambulance services have separate control centres and when someone rings 999, they have to tell an operator which service they need. Emergency services in some areas – including Northamptonshire and Hampshire – are already working on joint schemes, but the Home Office wants more and is introducing a “statutory duty” on the three services to collaborate. In Northamptonshire, police, fire and ambulance services are sharing “training, premises and a joint operations”, the Home Office said. In Hampshire, senior police officers now operate out of the Hampshire Fire and Rescue HQ. He said he would also like PCCs to take responsibility for their local ambulance service, but at this stage the Home Office is only planning to extend PCC powers to fire brigades.